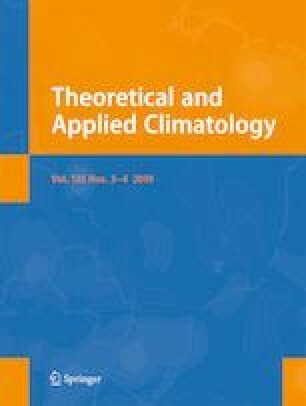 Based on a simplified nonlinear model and reanalysis data, the lagged connection of the North Atlantic Oscillation (NAO) with the Madden–Julian Oscillation (MJO) in boreal winters is investigated. The positive NAO is observed to occur more frequently about 8–20 days after the onset of the MJO phase 3. A series of heating forcing experiments and initial-value experiments are conducted by utilizing the Geophysical Fluid Dynamics Laboratory (GFDL) dynamical core atmospheric model. The extratropical responses to the tropical heating associated with the MJO phase 3 are characterized by a wave train over the Pacific–North American region with an anticyclone anomaly over the northeastern Pacific and then followed by a positive-NAO-like pattern over the North Atlantic sector. These circulation anomalies generally match the observed lagged-connection well. At the earlier stage, the Rossby wave train excited by the MJO convection propagates into the North Atlantic, leading to a planetary wave anomaly with a low-over-high dipole prior to the positive NAO. At the later stage, the anomalous synoptic eddy vorticity forcing (EVF) streamfunction tendency has a negative-over-positive dipole, which plays a key role in the development of the positive NAO. Further analysis of the initial-value experiments indicates that, for the subsequent formation of the positive NAO, the anomalous circulation over the Indian Ocean aroused by the MJO phase 3 is more crucial than that over the northeastern Pacific. This study was jointly supported by the National Key Basic Research Program of China (2015CB453202), the Strategic Project of the Chinese Academy of Sciences (Grant XDA11010401), and the National Natural Science Foundation of China (41528502, 41421004, 41490642, and 41790473).